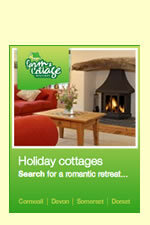 Have a superb self catering holiday or short break in Lulworth, then Pebble Beach Cottageis a great choice for you. Self catering accommodation at Pebble Beach Cottage sleeps 10 and prices for a weeks stay start from just £539. Pebble Beach Cottage is situated at Pebble Beach Cottage, 4 Shirley Close, Lulworthin Dorset. A map is below but if you are travelling by car the all important Sat Nav settings are: Latitude 50.62534, Longitude -2.24974 or postcode BH20 5RW.